You need to know, friends, that thanking God over and over for you is not only a pleasure; it’s a must. We have to do it. Your faith is growing phenomenally; your love for each other is developing wonderfully. 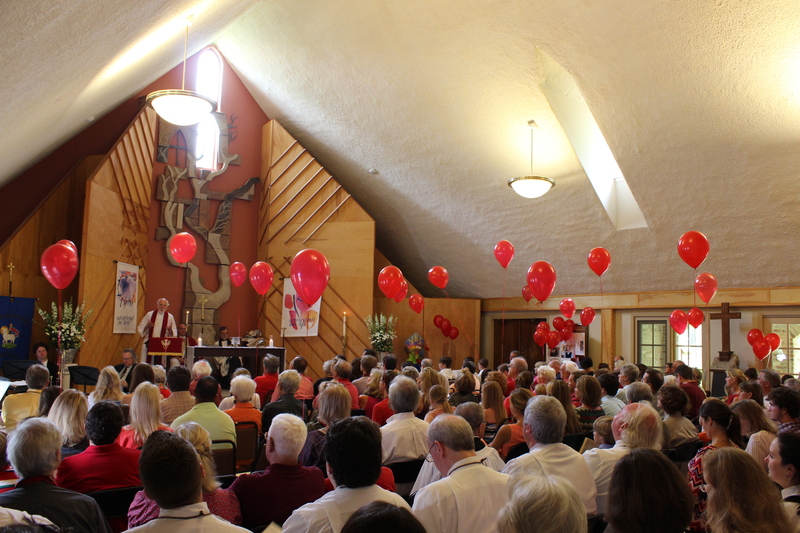 At the Chapel of the Cross, we celebrate the journey of life. And a big part of that journey is spiritual growth. As Christians, we strive to grow: grow in our love of God, grow in our understanding of scripture and tradition, grow in our disciplines, grow in our ability to use our gifts and talents. At Chapel, we hope to grow during all phases of our journey. For our little ones, through our devoted nursery and nurturing Catechesis of the Good Shepherd curriculum, we take our first steps. For our youth, we foster a community of life-long friends and a safe space to ask the big questions. And for our adults, through classes, study groups, fellowship opportunities, and so much more, we kindle and sustain a desire to know more about the Holy. In this section, we invite you to grow with the Chapel of the Cross.